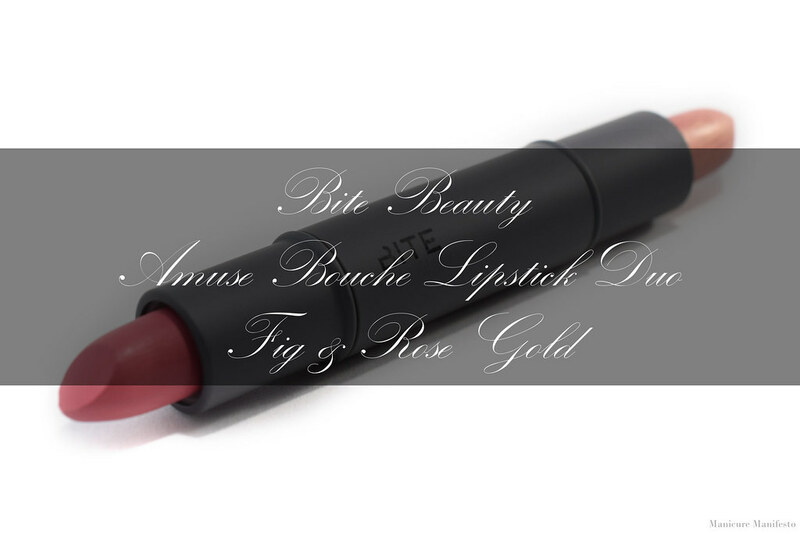 Today I have one of the Bite Beauty Amuse Bouche Lipstick Duos to share with you. These duos contain two coordinating 0.05 oz mini lipsticks in a double ended tube. They were originally released for the holidays but I've still seen them in store at Sephora and a few of the colour combos ares still available online. Let's take a look at swatches for Fig and Rose Gold. 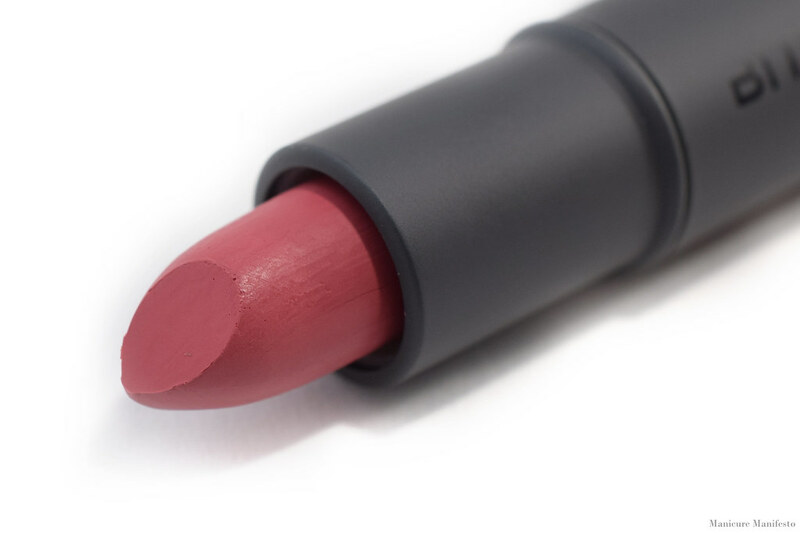 Fig is a medium warm pink creme. I found the formula quite creamy compared to the other shades I've tried from the Amuse Bouche line. I was able to build it up to a pigmented finish but it was still a tad patchy towards the center of my lips. 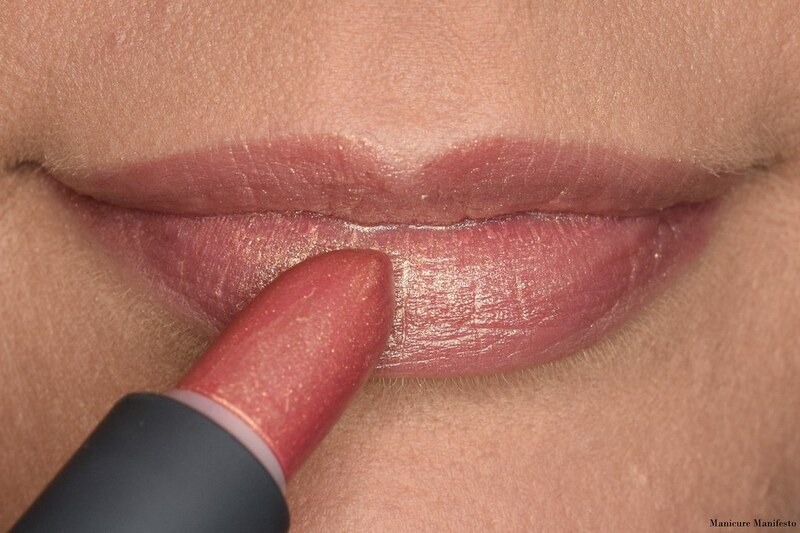 This shade is also available in full-size from the permanent Amuse Bouche collection. Photos were taken in daylight spectrum lighting. 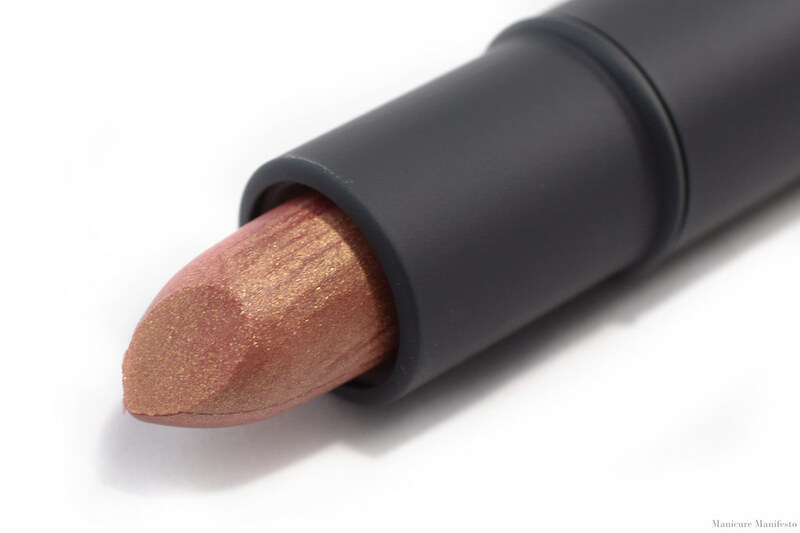 Rose Gold features a sheer pink base with a strong rose gold (no surprise there) shimmer. I was expecting some grittiness from the shimmer, but the formula surpassed my expectations and was very comfortable on the lips. It was also a little less creamy than Fig which I preferred. Wear it on its own for a softer look, or layer it over a matte lip shade to switch things up. I tried layering it over Fig, but Fig's creamy formula made it difficult to get any shimmer payoff and it didn't end up showing unless you looked really closely. Photos were taken in daylight spectrum lighting. Rose Gold is really nice and I'm looking forward to trying some layered looks. I was disappointed in Fig's creamy formula since I was expecting something longer wearing from the Amuse Bouche line. 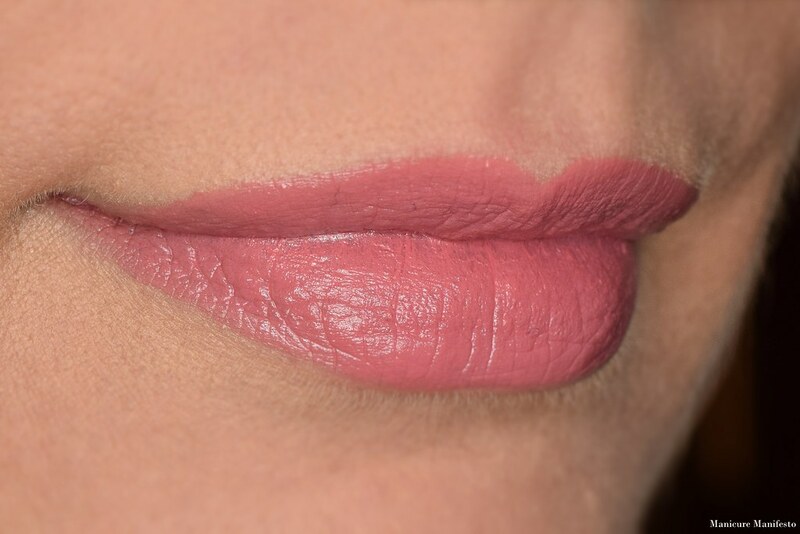 Looking for swatches of other Amuse Bouche shades? Be sure to check these out.